We have been installing and maintaining bollards and barriers for over 25 years and have grown to have an enviable position in the market place for providing the highest quality product and after care service. 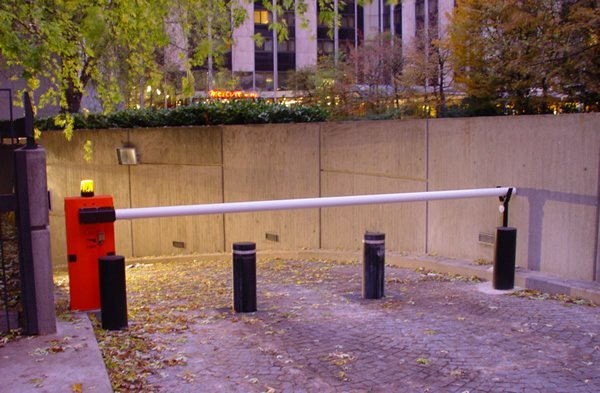 High security bollards and barriers are the answer to most demanding requirements in terms of access control and impact resistance. Our high security access control solutions are designed for protection of public or private streets to vehicular traffic, permitting only authorised vehicle access by retracting the bollard or bollards into the ground. The Automatic Rising Bollard sinks into the ground in less than 3 seconds (adjustable) by means of a remote control device, thus clearing the way for traffic, and rises back once the vehicle has passed through. Electro – Pneumatic: motorised by compressed air, fast deployment and low maintenance costs. Electro – Hydraulic: motorised by a hydraulic pump with biodegradable oil, strong and powerful, solid resistance to vertical impact and force. 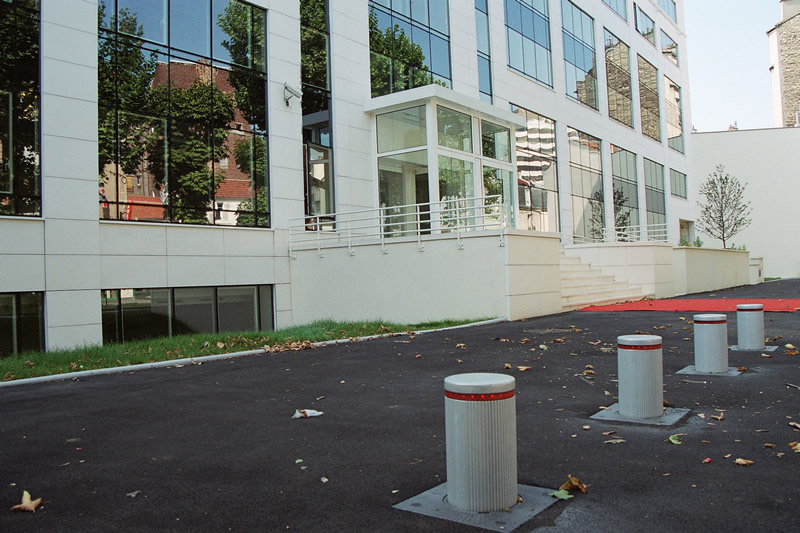 Available in any RAL colour and several different designs, our high security bollards will compliment the architectural surroundings wherever they are installed, whilst of course, dramatically increasing security.